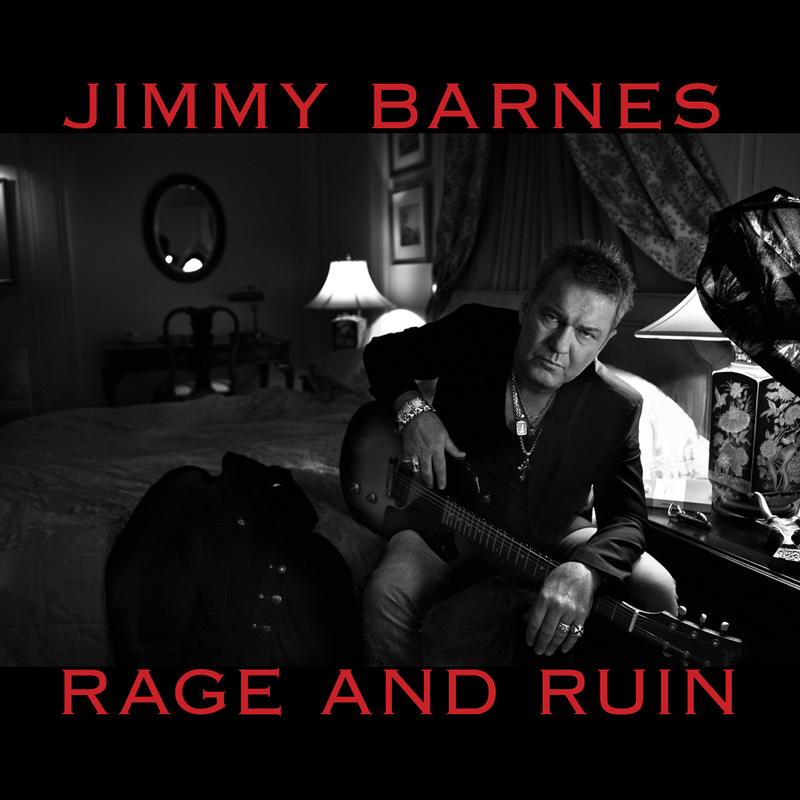 Jimmy Barnes is a bit of everything for everyone. A rhythm and blues man, soul man, front man, father, brother, son, grandfather, friend, hero. But to his army of fans, he will always be a rock singer. Indeed, the most recognizable rock singer this country has produced. With his suit neatly packed away, ‘Barnesy’ has slipped back into some denim and a tee with no alterations required. He’s stomping around like a caged warrior and letting rip with a new album titled Rage And Ruin, a collection of songs that rock in all the right places or roll smoothly with a couple of ballads gently tugging at the heartstrings. So where does all the rage and ruin come from? Barnesy’s “book of life”, that’s where, and he means that quite literally. “Most of the lyrics on this album came from a book I’ve had all my life which has lyrics, phrases and notes I’ve penned over the years from when I’d get inspired to write something,” Barnes explains. “A lot of the lyrics come from that book, which is mainly from around the time I was in my own rage and ruin, when I was hitting it pretty hard, drinking hard etc. But with time comes wisdom, and Barnes says he has been able to look back on that material with a new angle and much clearer perspective. For fans pining for the return of a Barnesy rock record, the wait is over. From addictive mid-tempo groovers like God Or Money and Turn It Around to fired up raw, rockin’ stompers such as first single Before The Devil Knows You’re Dead and the irresistible energy of Can’t Do It Again, there’s a mixed bag of goodies for everyone. If it’s a little tenderness you desire, fall under the spell of Love Can Break The Hardest Heart, and take a trip down memory lane amid the folkcharged charms of Largs Pier as Barnes reflects on his Cold Chisel days and a special Adelaide venue of yesteryear that remains dear to his heart.